Brumos Porsche, based in Florida, confirmed officially that it will produce a special factory-built 911 Carrera GTS B59 Edition Coupes limited to only 5 units. To commemorate the concept and build process, each 2012 Carrera GTS B59 Edition will be delivered with a factory produced photo book. This special, coffee table-style book will properly document the history, heritage and pedigree of the 2012 911 Carrera GTS B59 Edition. 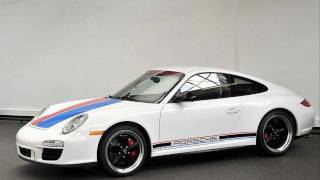 Jacksonville, Florida – (August 14, 2011) Brumos Porsche confirmed today the production of five rare,factory-built 911 Carrera GTS B59 Edition Coupes. “Our special B59 Edition project is nearing completionand soon the driving fun will begin,” said Ray Shaffer, Brumos Porsche General Manager. “It is an honor anda pleasure to be involved so closely with the Porsche factory in Germany and here in the States during thecreation of these special 911s – the last of the popular 997 model line and a fitting tribute to HurleyHaywood’s amazing record of overall wins at the Daytona 24 Hours (1973, ‘75, ‘77, ‘79 and ‘91). - Brumos Red/Blue stripe design for the front hood and rear deck. 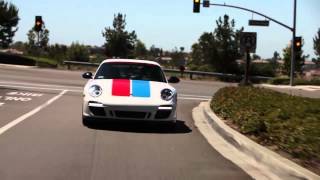 -Brumos Red/Blue stripe “PORSCHE” door decals. 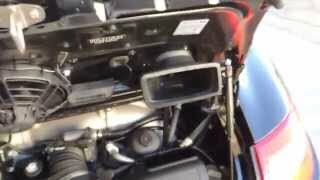 -Exterior mirrors in Black. 19” Sport Classic Wheel (Fuchs style). -Door entry guards in Stainless Steel with “Hurley Haywood” engraved signature. -Deviating (dual stripe) stitching in Brumos Red/Blue on steering wheel and gear/brake lever. -Carrara White painted interior accents including Adaptive Sport Seat BackrestsPerformance and comfort options include;. -Sport Chrono Package Plus. Sport Shifter. -Sports Suspension including PASM and Limited Slip Rear Differential Lock. -BOSE Surround Sound System. XM Satellite Radio Receiver. -Extended Navigation Module for PCM 3.0. To commemorate the concept and build process, each 2012 Carrera GTS B59 Edition will be delivered with afactory produced photo book. This special, coffee table-style book will properly documents the history,heritage and pedigree of the 2012 911 Carrera GTS B59 Edition. The 2012 911 Carrera GTS B59 Edition will carry a Manufacturer’s Suggested Retail Price of $133,540.Actual images will be available soon. For a complete listing of standard and optional equipment (and toinquiry about availability) prospective US buyers are encouraged to call 904-725-9155.